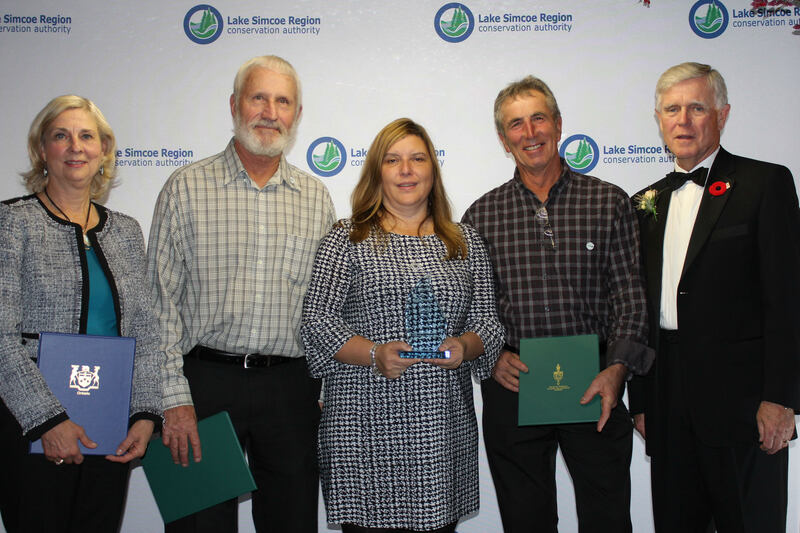 Congratulations to the Holland Marsh Growers’ Association (HMGA), who received a Healthy Water Award earlier this month from the Lake Simcoe Region Conservation Authority (LSRCA) at their 36th annual Conservation Awards. The HMGA Water Project resulted in important research and discoveries related to wash water systems and de-dirting equipment, revealing effective treatment methods and technologies that are reducing risks to water quality in Lake Simcoe and Georgian Bay. The results of the research from this great project have helped farmers make even better environmental choices. The two-part project involved: (1) re-evaluating washing systems and implementing technologies that would reduce phosphorous when washing vegetables; and (2) farmers installing de-dirting systems on their harvesters to keep dirt on the field, as opposed to it going in facilities during washing. “Both farmers and processing plants worked together to keeps phosphorous where it belongs — out on the field, not in the lakes,” Mott explains. Alongside the HGMA, the LSRCA paid tribute to 20 individuals, businesses and groups at the Conservation Awards, all who are working to better our environment in different capacities. You can learn more about all of the recipients here on the LSRCA website. Thank you to the Holland Marsh Growers’ Association, the dedicated farmers, and everyone else involved for their hard work and inspiring commitment in caring for our land and water.